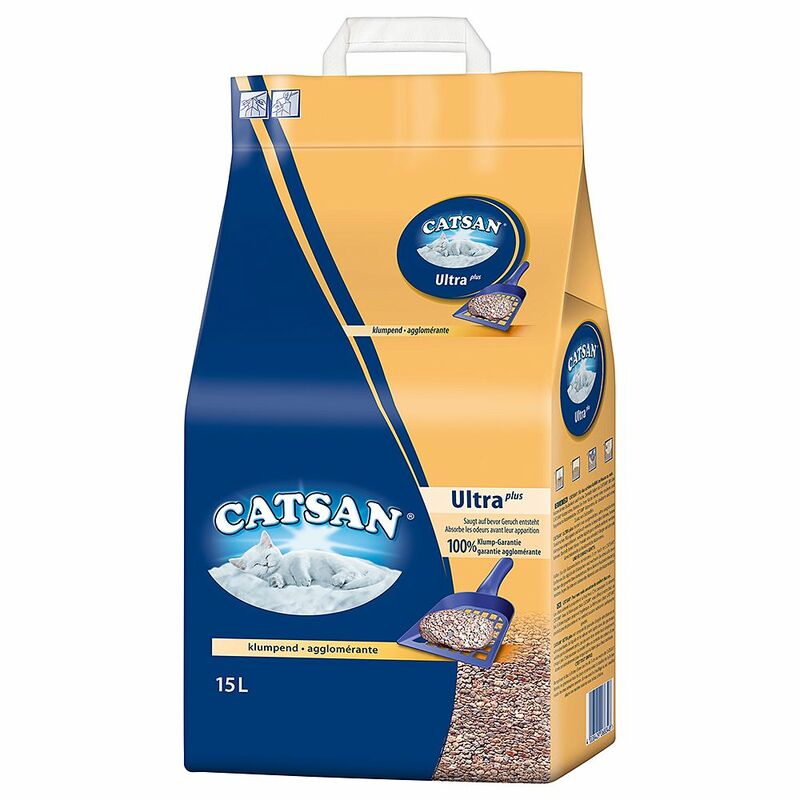 Catsan Ultra is an exceptionally absorbent clumping cat litter that uses clay particles to bind liquids before smells can start to develop. The clay grains are 100% clumping, so your litter tray stays clean and dry. The small, solid clumps are easy to remove, which means that you do not need to completely change the litter so often. This also makes Catsan Ultra very economical. This litter is fragrance free. Catsan Ultra Clumping Cat Litter at a glance: Clumping cat litter Ultra-absorbent clay particles: effectively soaks-up liquids before odours can develop 100% Clumping:small, solid clumps for easy removal Economical Fragrance free No dust production when filling and emptying Completely biodegradable.